Looking for Custom Printed Counter Mats or Mouse Mats? 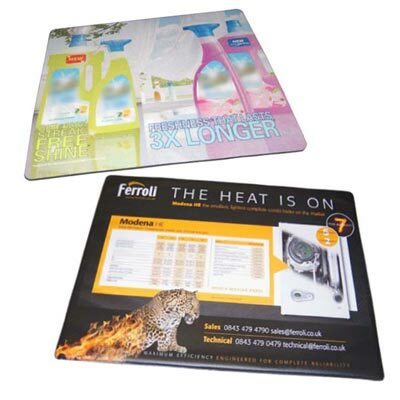 We also supply custom printed mouse mats and counter mats for your promotional campaigns. Order from 100 to 500 units per design, depending on the custom mat style and branding method. Custom printed mouse mats are available to order from our sister website: MouseMats.co.uk. 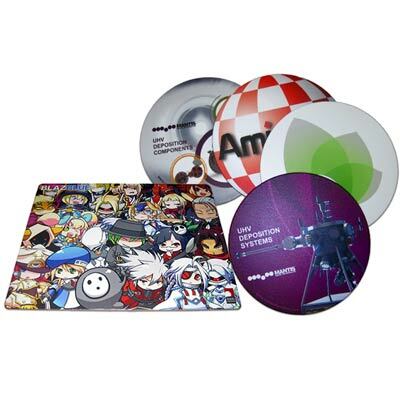 A great selection of mouse mat styles for your business promotional purposes. Your design can be branded in up to full colour process. Order from just 100 printed mats. If you're looking for counter mats printed to order, look no further than our sister website: CounterMats.co.uk. Custom printed Counter mats in A3 and A2 size are available in quantities from just 100-500 mats per design, printed in up to full colour process. Or take another look at our Brandow Counter Mats. Brandow Mats are in stock and available for same day despatch (order Monday to Friday by 1:30pm). Available in 3 great sizes to hold your own printed inserts.